Three Rivers Press, 9780761526742, 304pp. Dorm life offers you a great chance to meet new people and try new things. But leaving the comforts of home for the first time to enter the roommate-having, small-room-sharing, possibly-coed-bathroom-using world of the dorms can be overwhelming and intimidating. 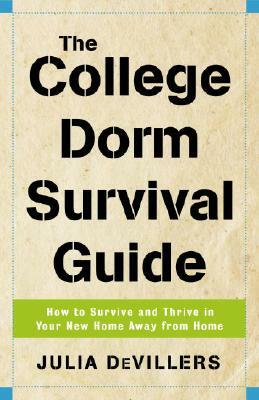 From avoiding the dreaded Freshman 15 to decorating your space, this informative and funny guide gives experts' advice on everything you need to know to enjoy dorm living to the fullest. Julia DeVillers is the author of several books, including Girlwise: How to Be Confident, Capable, Cool, and In Control and How My Private, Personal Journal Became a Bestseller. She lives in Columbus, Ohio. “As soon as your college acceptance is in hand, rush out to get a copy of this book, which answers all your questions, even some you haven’t thought about yet.” —Harriet S. Mosatche, Ph.D., author of Where Should I Sit at Lunch?